Photographic reproduction of a copper engraved portrait of Levi Coffin (1798-1877), a Quaker and a sympathizer with fugitive slaves. With his wife Catharine, he aided over two thousand fugitive slaves at Fountain City, Wayne County, Indiana, from 1826 to 1846. Coffin was born on October 28, 1798, in North Carolina. He was a member of the Society of Friends. Due to his religious beliefs, he became a strong opponent of African American slavery. By the time he turned fifteen, Coffin already had begun to assist fugitive slaves. In 1826, he moved to Indiana and established a pork processing business. In 1847, Coffin moved to Cincinnati. With the aid of abolitionists in Indiana, he opened a business that sold only goods produced by free laborers. He also became an active participant in the Underground Railroad. He purportedly helped more than three thousand slaves escape from their masters and gain their freedom in Canada. Most northern states had either outlawed slavery or implemented laws to gradually end the institution. However, the United States Constitution and the Fugitive Slave Law of 1850 permitted Southern slave owners to go to free states, like Ohio and reclaim fugitive slaves. For this reason, the sponsors of the Underground Railroad maintained safe houses in free states as well as slave states to protect African Americans. Many former slaves went to Canada, where Southern slave owners did not have the legal right to retrieve them. Coffin's active participation in the Underground Railroad caused his fellow abolitionists to nickname him the "president of the Underground Railroad." Levi Coffin helped African Americans in other ways as well. In 1854, he helped found an African American orphanage in Cincinnati. He also pressured the federal government during the Civil War to establish the Freedmen's Bureau. In addition, Coffin helped African Americans establish their own businesses and obtain educational opportunities. He died on September 16, 1877, in Cincinnati. Several years after his death, African Americans in Cincinnati erected a monument over Coffin's grave to honor his contributions. Coffin, Levi. 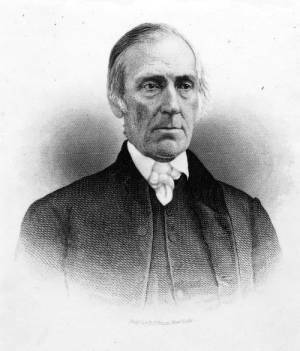 Reminiscences of Levi Coffin, the Reputed President of the Underground Railroad. New York, NY: Arno Press, 1968. Coffin, Levi, and William Still. Fleeing for Freedom: Stories of the Underground Railroad. Chicago, IL: Ivan R. Dee, 2004.